There are quite a few lakes in Neopia aside from Kiko Lake. Camp Wannamakeagame is in the foothills of the mountain range between Shenkuu and Neopia Central. It's terribly exclusive, though. They're related in the sense that they're technically in the same universe. However, Petaria is basically another dimension (created via the Wand of Wishing) where Petpets can talk and wear clothes and have philosophical debates. Some of the Petpet species from there have never crossed into Neopia. Whether they ever will is entirely up to them. We looked into the ticket and, basically, the Support Staff was just letting you know that he or she might need to hop onto your account to assess the problem better. We think this may have caused a misunderstanding in which it was interpreted that they needed your login info to do this, which is incorrect. TheNeopetsTeam does not need your login info, as we can access the account through our admin system. So remember, if anyone claims they're from TNT but request your login info to access your account, then they are attempting to scam you and should be reported. 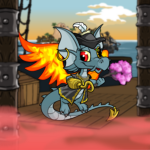 As art can't be bought and sold on Neopets, any art is considered a gift. As you are the original artist, you are welcome to submit it if you'd like. Please keep in mind, though, that there can only be one winner to an Art Gallery submission, so any collaborators (like someone who offered the idea to you) cannot be credited. #VISITOR when typed on a Petpage displays the username of whoever is viewing the page. So, if it worked in the Editorial, everyone would have seen that their own User Lookup was the "most popular" page on Neopets. We had a good giggle over the idea, but we're sure the Support Department is very grateful it didn't work! We imagine the email onslaught of confused Neopians would have reduced them to tears or throttling the rest of us. Perhaps both. 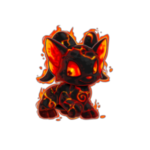 Please do not cover your Neopet on their Pet Lookup with any other image or art. You may not alter the page in any way to misrepresent your Neopet, even with a disclaimer. That's what it stands for in that "real world" place. Here, it stands for "Protection In Neopia!" Much like decade-old Internet browsers, UCs are no longer supported. What you see is what you get from them. Well, maybe that's how you spell it in the "real world," but here in Neopia-- yeah, this excuse isn't going to fly a second time, is it? We totally misspelled it. Thanks for letting us know. It's now been corrected! Like, all of the questions that have been submitted? We literally have hundreds of thousands in our database. Ain't nobody got time for that. Uh, sorry to have disturbed you. If there was one thing Elrique lacked, it was punctuality. No one in Neopia will forget the day that Faerieland fell from the sky. But what most of us didn't know was that some parts of it stayed airborne. This week I'll walk you through some of the most intimidating, time-consuming, and challenging avatars I've ever faced. The least known color in Neopia?